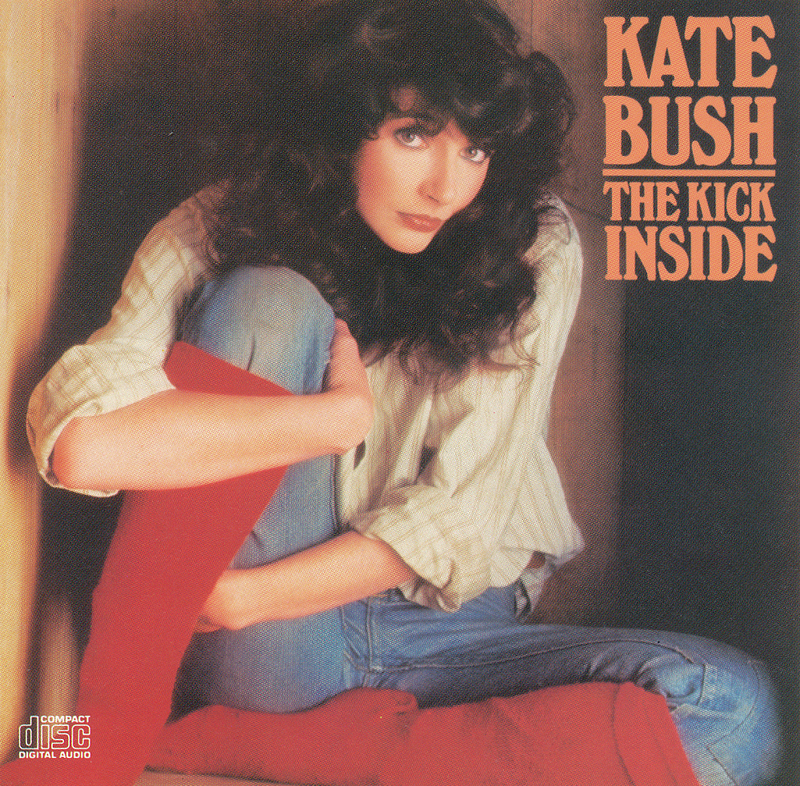 'The Kick Inside' is Kate Bush's debut album, released by EMI Records on 17 February 1978. The album was produced by David Gilmour's friend and associate, Andrew Powell and features 13 tracks. The album was recorded between June 1975 and August 1977, with all the songs written and composed by Kate. At the time of release, the lead single Wuthering Heights had reached number 1 in the UK Singles Chart. The second single from the album was The Man With The Child In His Eyes. Further singles from the album were Them Heavy People (released in Japan), Moving (released in Japan) and Strange Phenomena (released in Brazil). As part of her preparation for entering the studio, Bush toured pubs with the KT Bush Band, supported by her brother Paddy and close friends. However, for the album she was persuaded to use established session musicians, some of whom she would retain even after she had brought her bandmates back on board. Paddy Bush was the only member of the KT Bush Band to play on 'The Kick Inside'. The album was originally released on LP and tape. 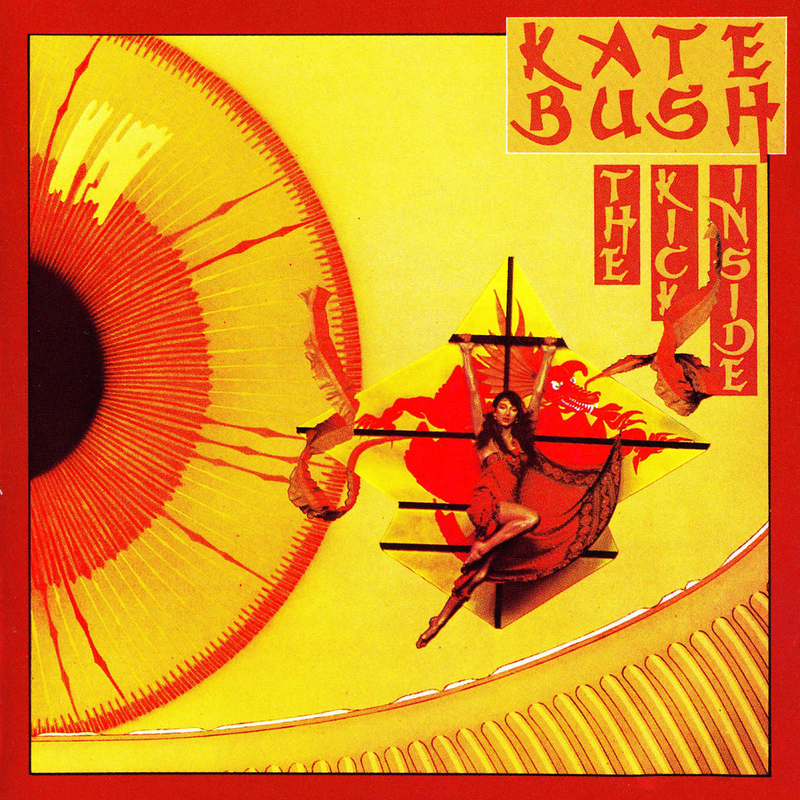 Six different varieties of the album's cover are known; it is Kate Bush's only album to have a different cover in the UK, the USA, Canada, Yugoslavia, Japan and Uruguay, the last one being the rarest and most expensive. In the UK, the album was released (twice) as a limited edition picture disc. This is housed in a full colour outer sleeve ('Kite' picture by Jay Myrdal). It sports a sticker declaring that it's a picture disc (cat. no: EMCP 3223). Two versions were actually released: The first edition has a circular sticker stating that it is a picture disc (usually in the top left hand corner). The second pressing (apparently aimed at the US market, where the first pressing had proven popular) has an oval sticker (usually top centre). The second disc also states "manufactured in the UK by EMI records Ltd." as part of the copyright notice printed on the disc. The first edition does not have this wording. Also, there are versions of the LP in different colours of vinyl: in Holland, a version on grey vinyl was issued, and in Czechoslovakia there were versions in green, pink and multicoloured vinyl. 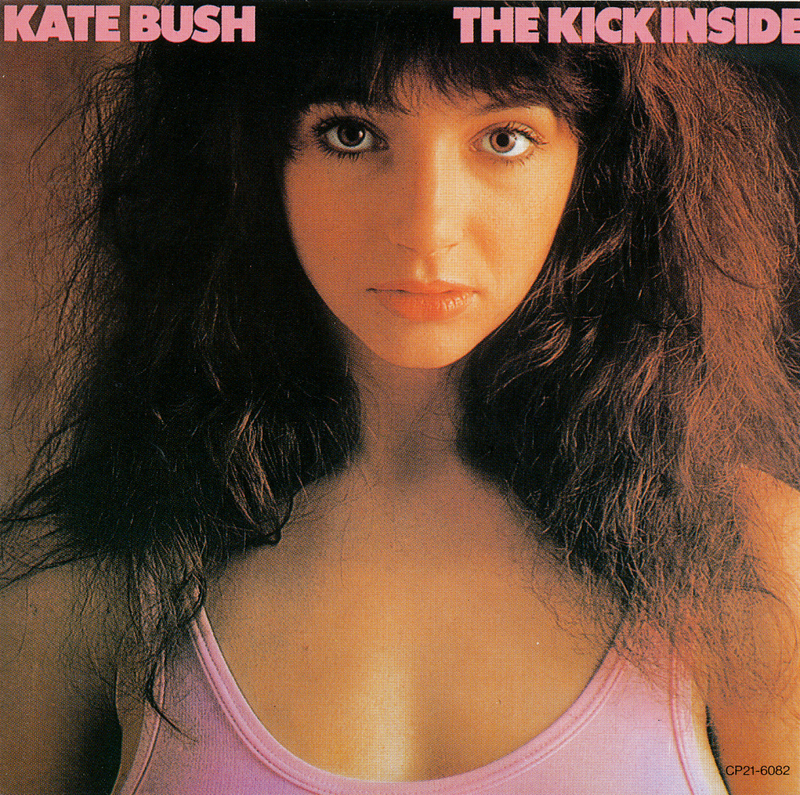 In 1983, the first CD of 'The Kick Inside' was released in Japan. Three years later, there was also a European CD release. The album was also included in the This Woman's Work box set, and in 2005, a so-called 'mini LP replica' version was released on CD in Japan. I think it went a bit over the top [In being orientally influenced], actually. We had the kite, and as there is a song on the album by that name, and as the kite is traditionally Oriental, we painted the dragon on. But I think the lettering was just a bit too much. On the whole I was surprised at the amount of control I actually had with the album production. Though I didn't choose the musicians. I thought they were terrific.